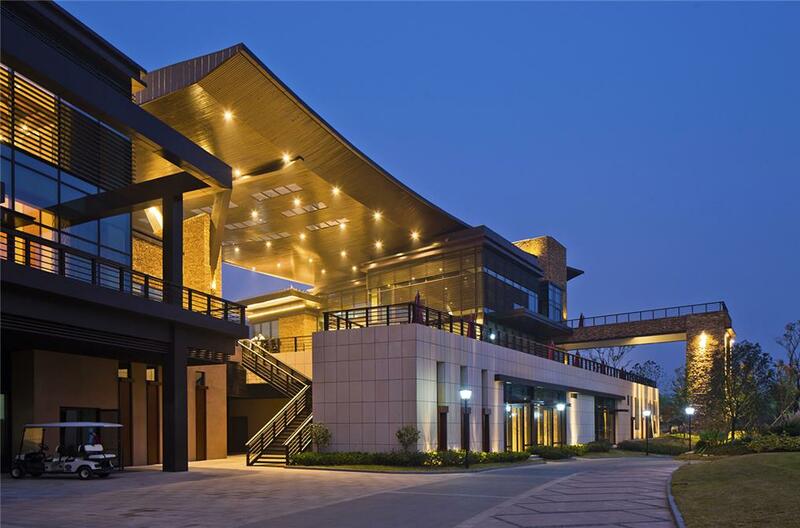 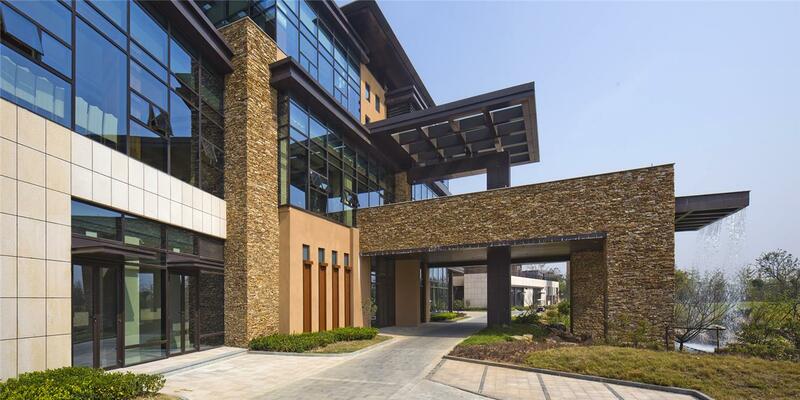 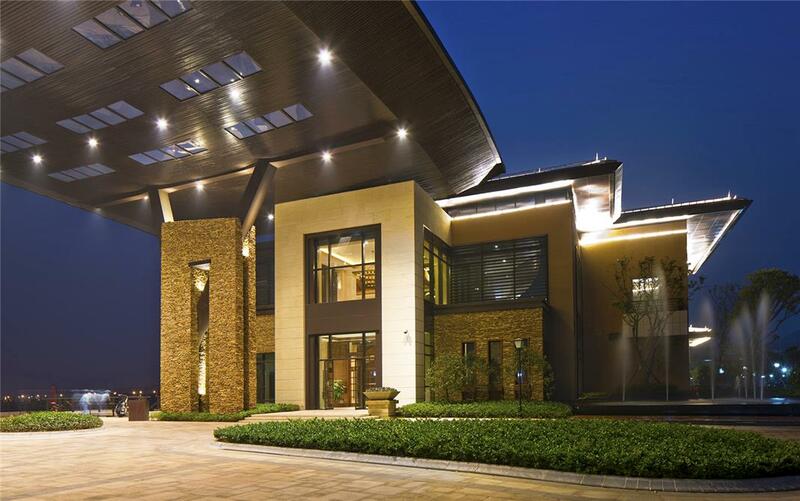 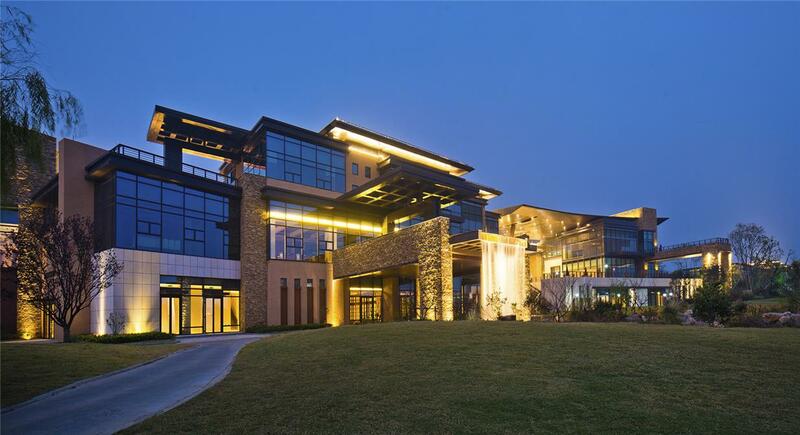 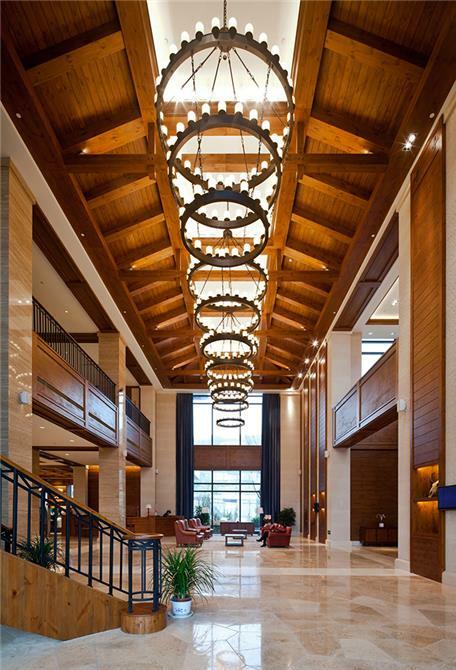 Against the scenic backdrop of Jiufeng National Forest Park, the modern finishes of Wuhan's architecturally contemporary Changjiang Golf Clubhouse, span horizontally in sweeping forms with a porte cochere and entry plaza that welcome the grandest of arrivals. 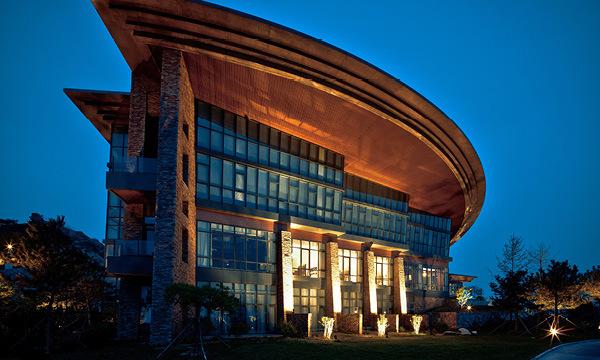 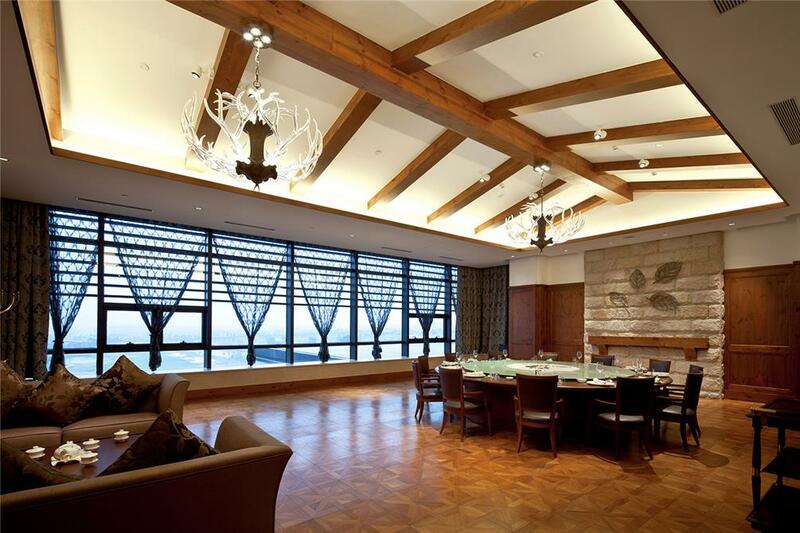 This award-winning 8,248-square-meter clubhouse was recognized as Golf Inc.'s "Clubhouse of the Year". 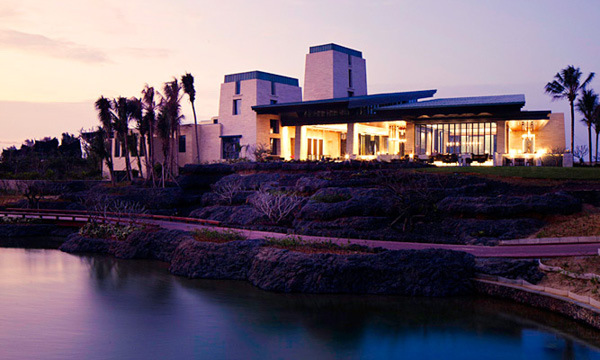 The building and landscape terrace in unison with a cascading waterfall that pools into the rustic creekside landscape of this international golf course.